Ratio Computer's Color-Coded Wireless Transmitter allows the diver to see their tank pressure at any time from their Ratio iX3M or iDive Computer. 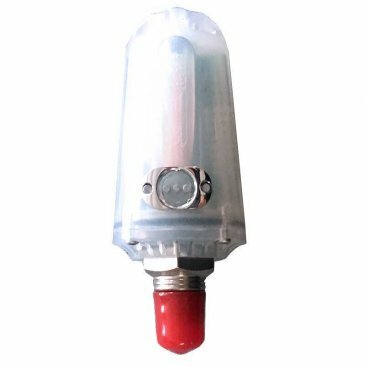 This state-of-the-art makes checking your tank pressure both easy and efficient with its logical green, yellow, and red color coding. 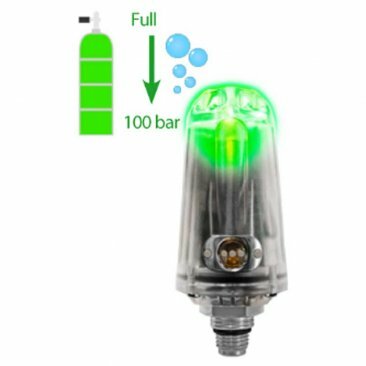 and more than 100 remaining bar will flash green once. 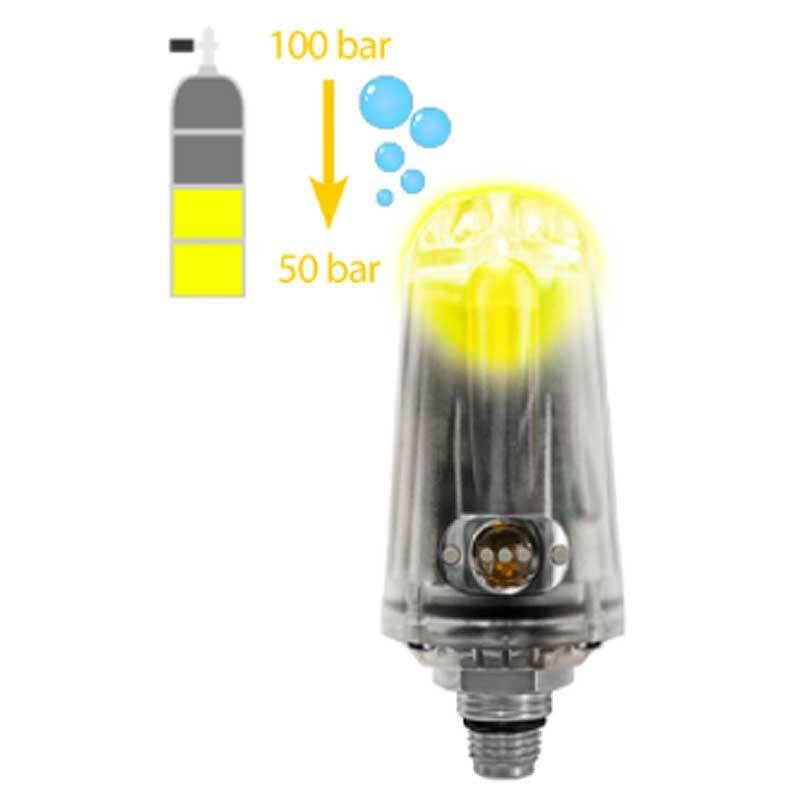 Once the tank reaches under 100 bar, the transmitter will flash yellow once, and once the tank has under 50 bar remaining, the transmitter will flash red once. 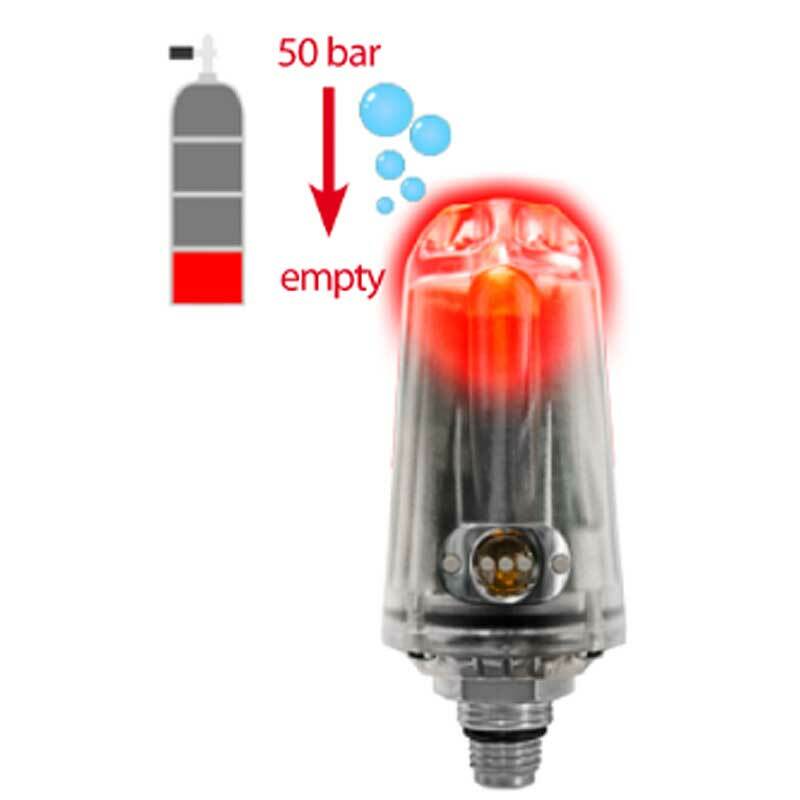 Instructors can keep a clear visual on their students' remaining tank pressure because up to 10 transmitters can be paired with a Ratio Dive Computer. Specifically, up to 2 transmitters can be paired with Ratio's iDive/iX3M Easy; up to 3 can be paired with iDive/iX3M Deep, and up to 10 can be paired with iDive/iX3M Tech+ computers. When using multiple transmitters with Side Mount Mode, both of the Side Mount tank transmitters can be seen on the same screen. Ratio's iDive also calculates the Remaining Bottom Time (RBT) of all Side Mount tanks that have the same gas. Additionally, Ratio's Optical Fiber HUD is compatible with nearly all regulators and full-face masks. You can plug the HUD to the Ratio CC Wireless Transmitter and put it on the second stage of your regulator so that you can always see it clearly--even in zero-visibility conditions. All compatible iDive and iX3M computers that can be paired with the Color-Coded Wireless Transmitter are labeled on the box packaging as "Transmitter Ready."